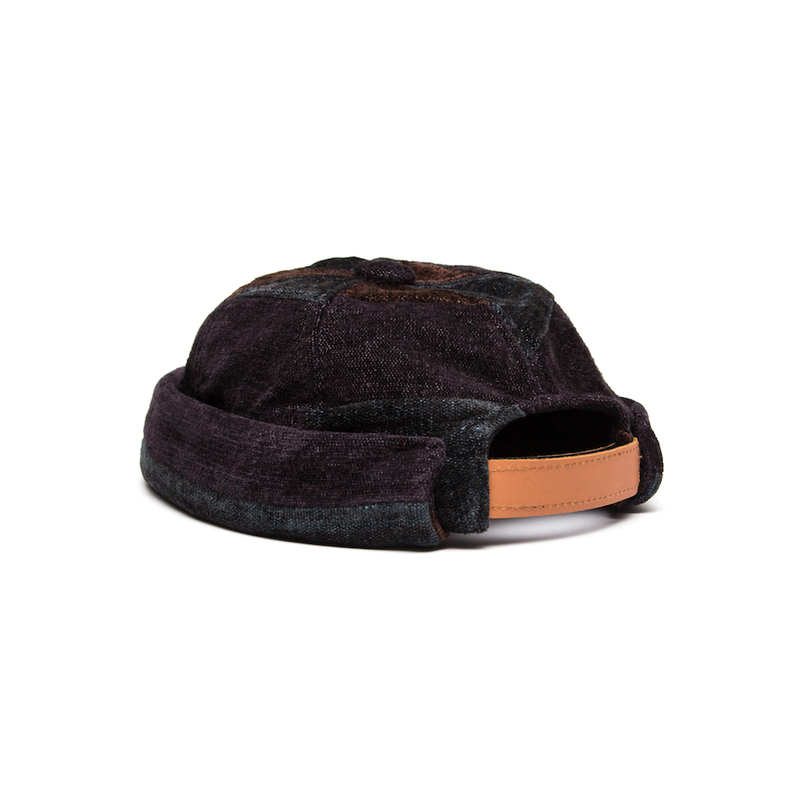 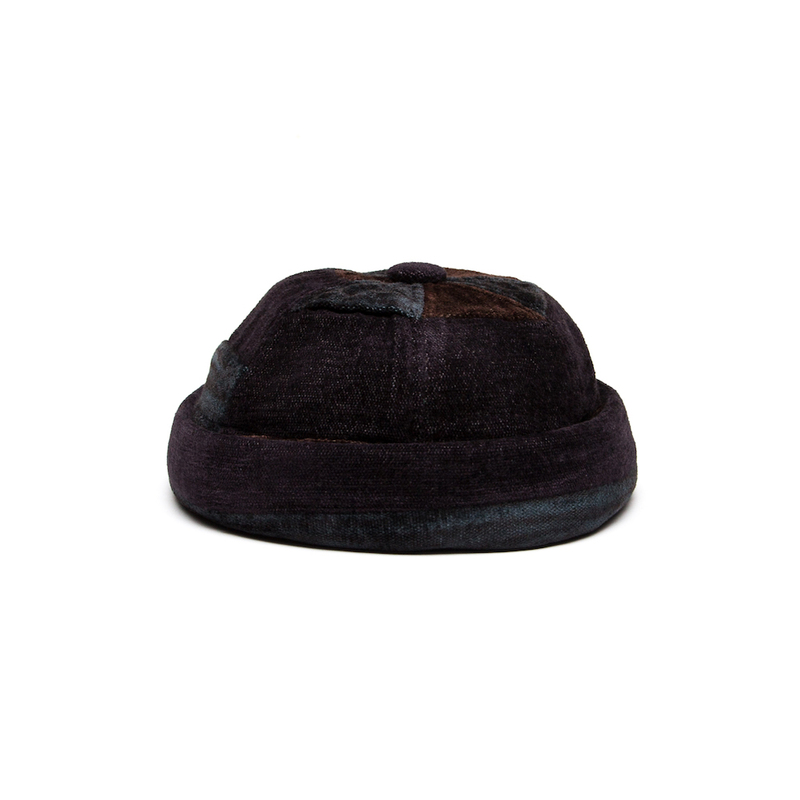 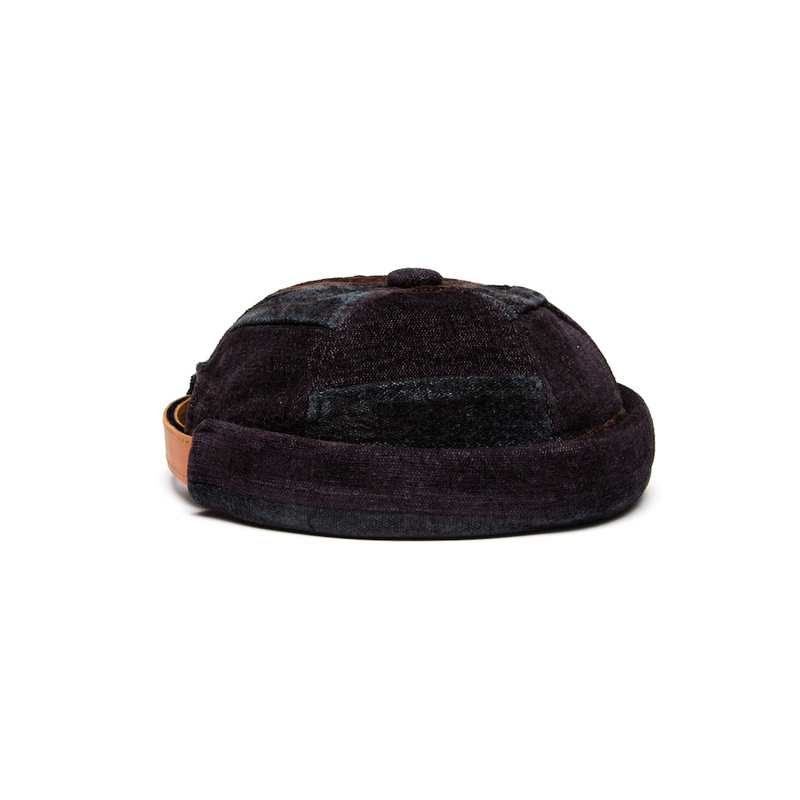 Short cap that blends the key features of a beanie and a cap. 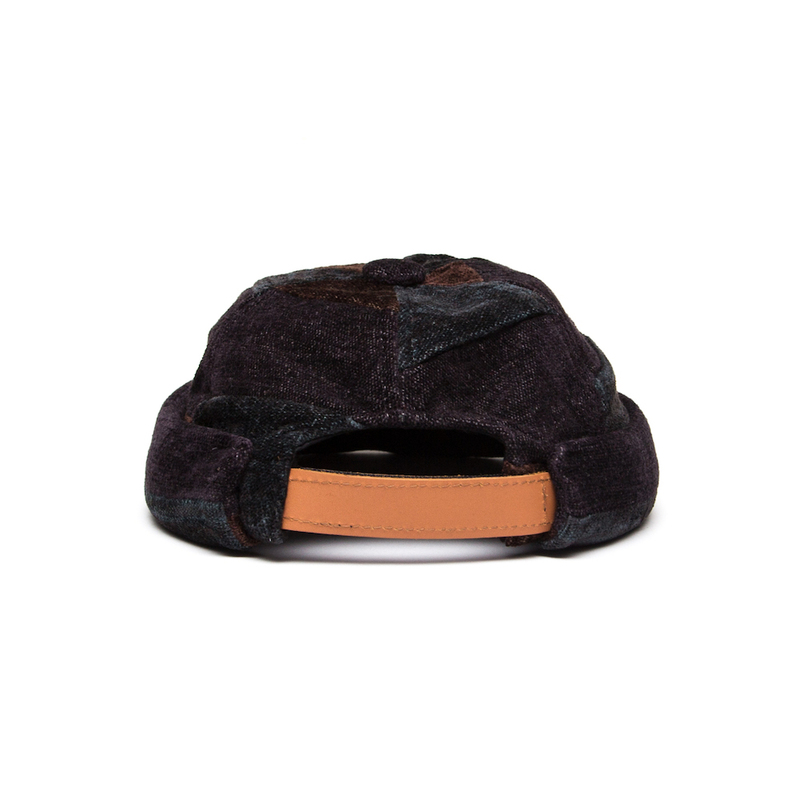 Finished with an adjustable leather back strap. 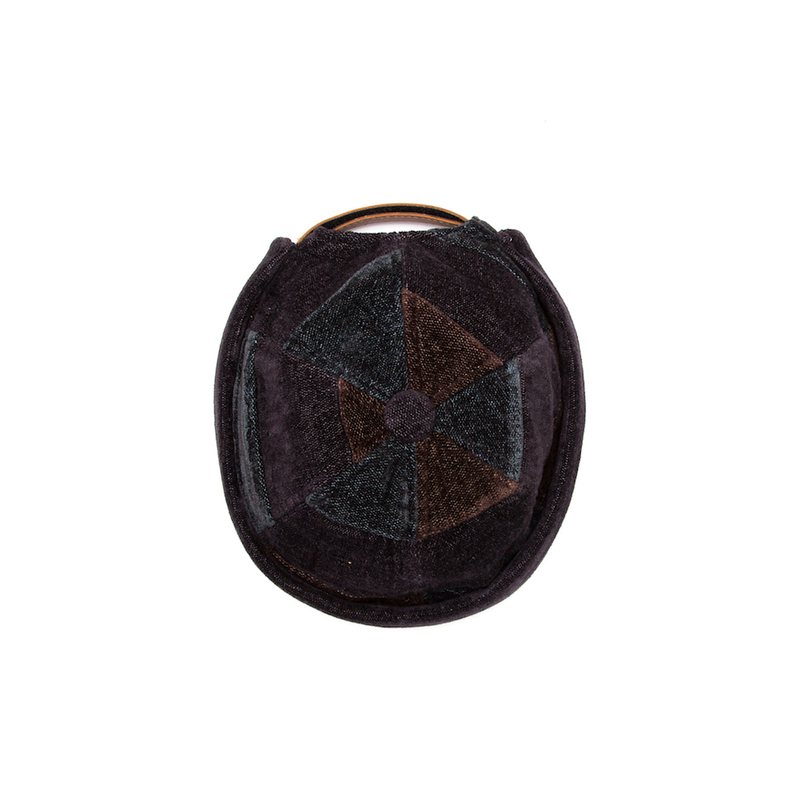 Cut from a luscious chenille/cotton throw milled by South African heirloom textile mill, Mungo. 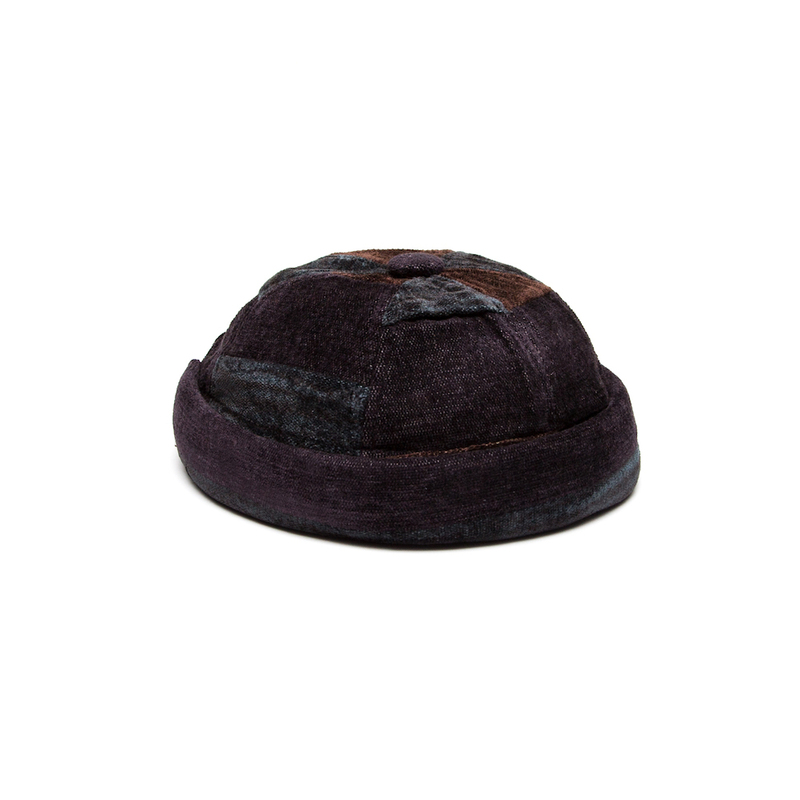 Notify me when Patchwork One Size Yarmulke Short Cap - Patchwork is available.